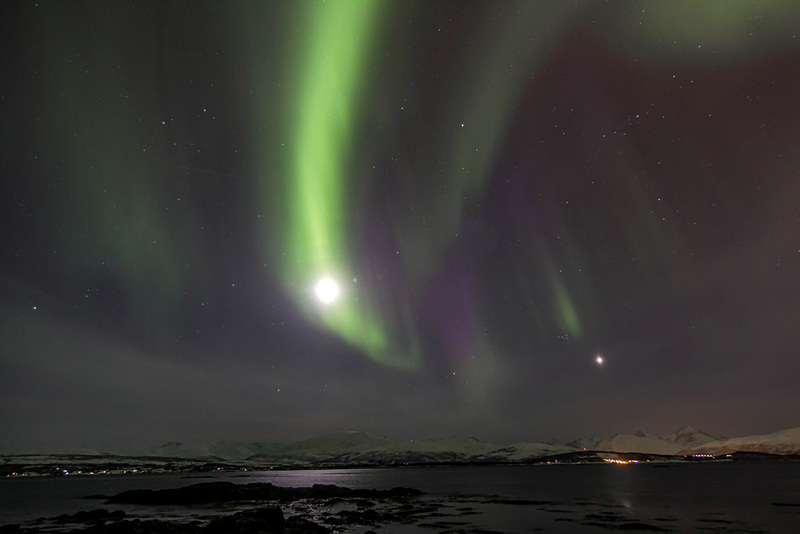 Last night the aurora was out again – and I was keen to get some photos. The midnight sun is creeping up on us, and soon it will be too light to see the northern lights – so better make the most of it now! 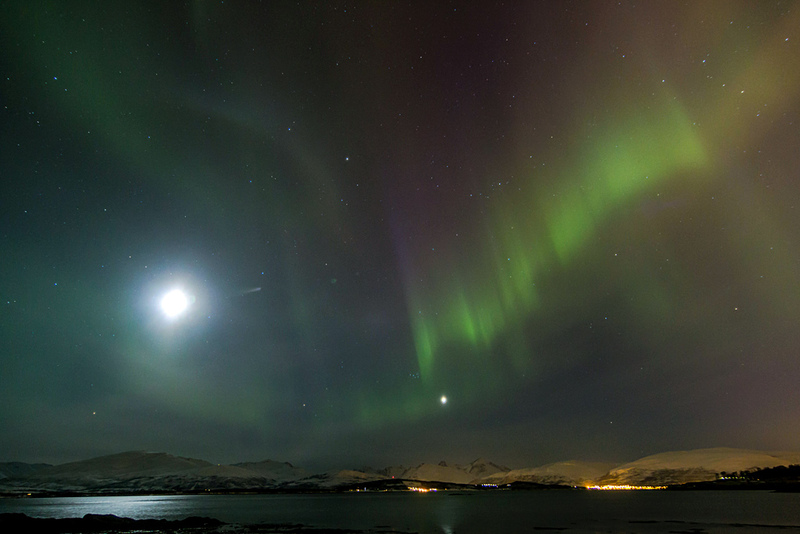 The aurora wasn’t that bright last night, and had to compete with the brightening moon too. 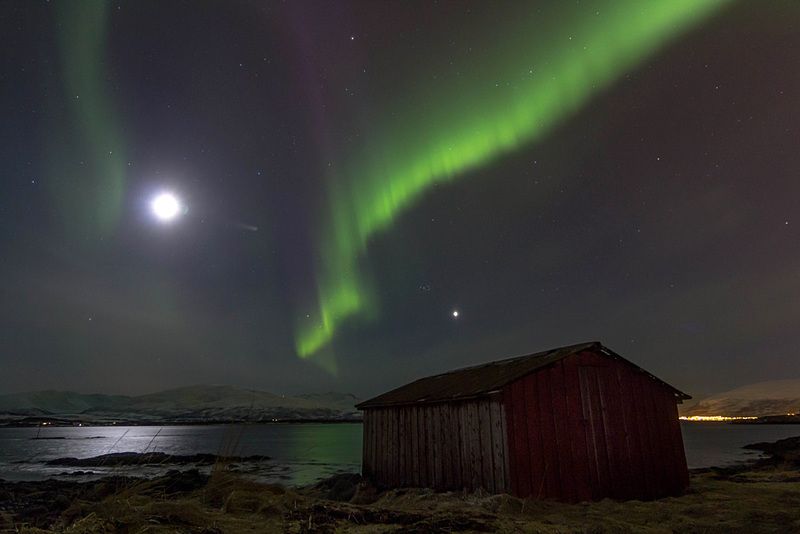 At Sydspissen (the south tip of Tromsø island) I found this nice boat house, and now there was finally enough moon light to include it in the photo. The sky wasn’t as bright as I was hoping, there were some high clouds – but that did result in a pretty (partial) moon halo! … and bright Jupiter (or Venus?) near the roof of the boat house too. Amazing! What’s the star above the boat house?? I’m curious!!! Here in Portugal at night I can see the beautiful bright points (Jupiter and Venus) and the larger Moon together. I never get tired of looking the sky!